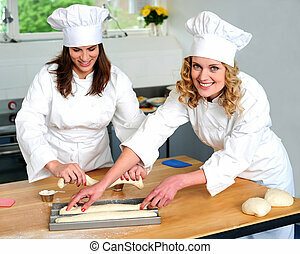 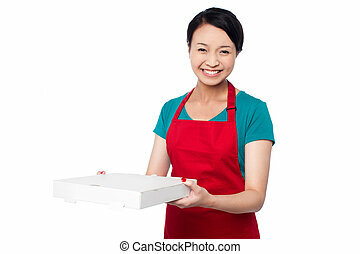 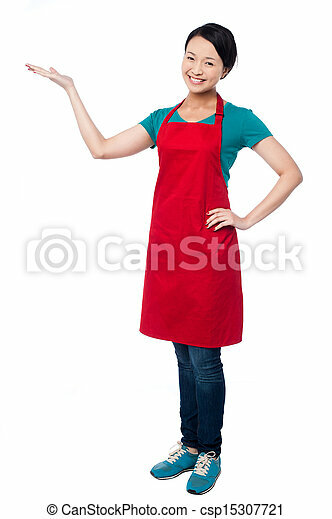 Female chef promoting bakery product. 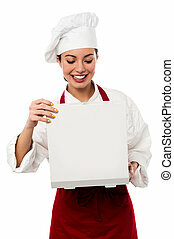 Cute female chef promoting bakery product. 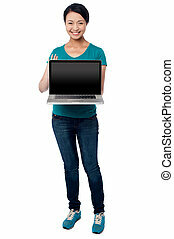 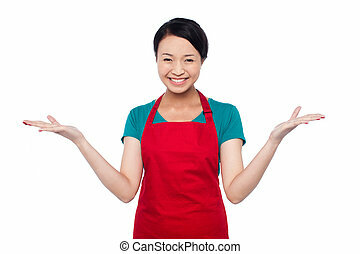 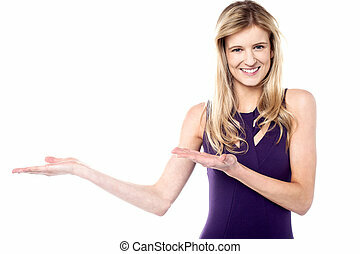 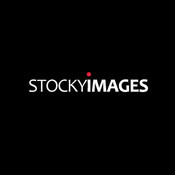 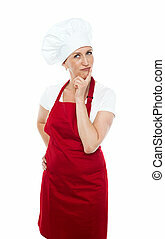 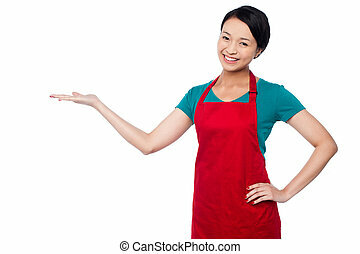 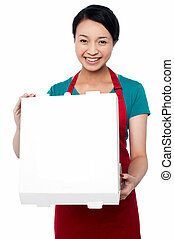 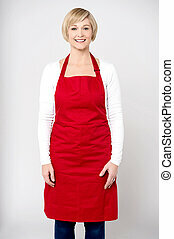 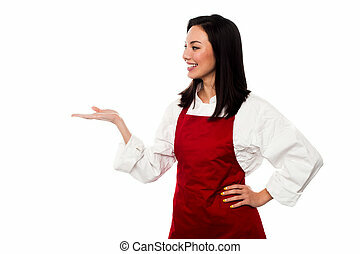 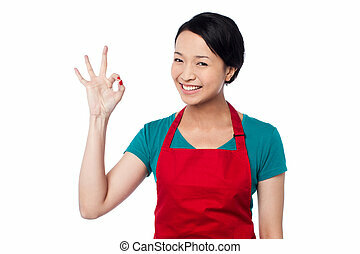 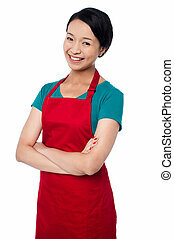 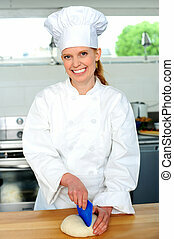 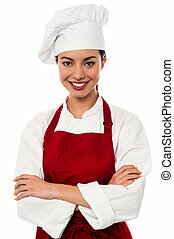 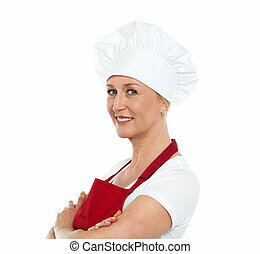 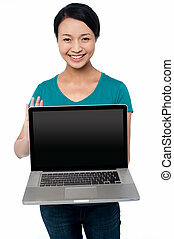 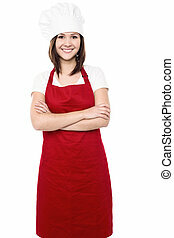 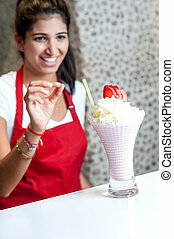 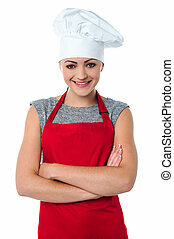 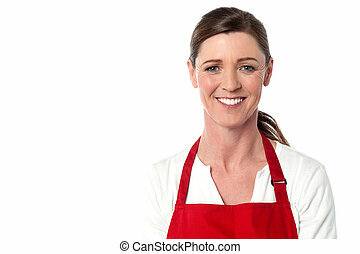 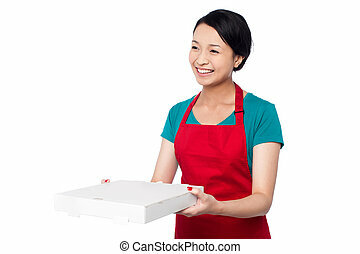 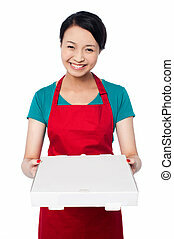 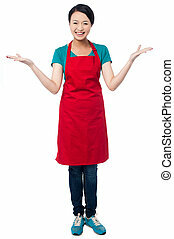 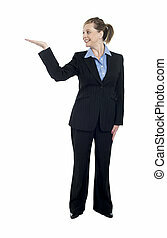 Happy middle aged female chef over grey background.